NEWS: New Boss Hoss Site Added. The most awesome American-made motor cycle in the world. Street legal in New Zealand and ready to ride. Briford Trailers combine excellent design, materials, workmanship and value for money to produce trailers that will do the job you require it to do. You can buy a trailer direct from the manufacturer at their factory in Christchurch, New Zealand or from a dealer close to you. 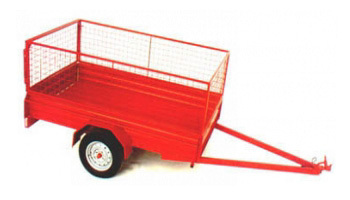 As well as the design, manufacturing, and sales of trailers, Brian Ford Engineering can repair and service your trailer. Explore this site to learn more about Briford Trailers. A good place to start is the Website Guide.